These beautiful water lilies smiled at me from the pond at Prospect Plantation in St. Mary, Jamaica. I found the vivid purple and lilac hues of the lilies so restful and pleasing. This is a limited edition of 250 giclée prints on watercolor paper. 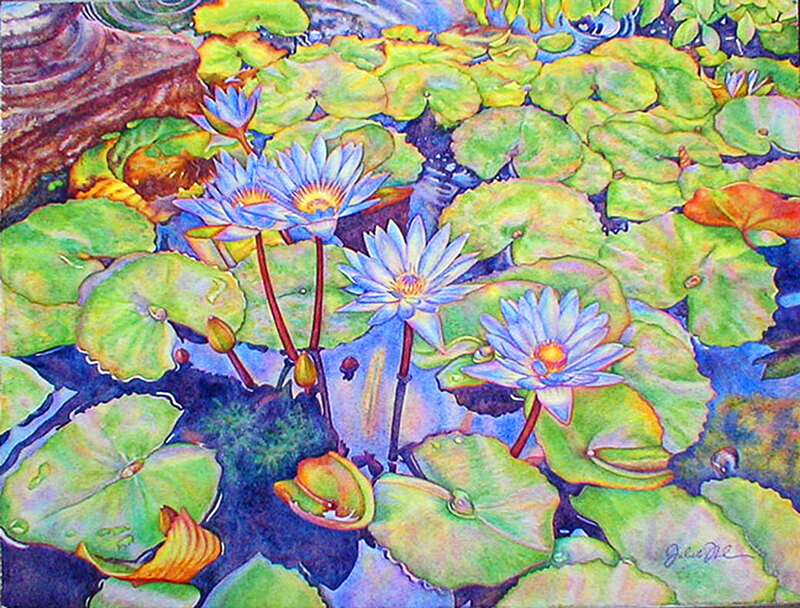 The original waterlilies watercolor painting has been sold.